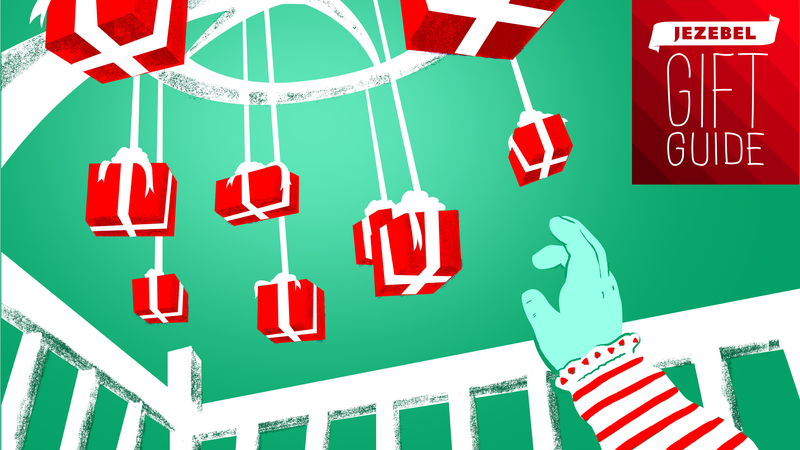 Babies and small children, unfortunately, are ill-equipped to fully appreciate Christmas. Their little hands can’t hold things, nor can they grasp the concept of gifts. They’re built that way, and it’s no one’s fault. While their lack of comprehension doesn’t render them completely useless, it does make it hard to decide what to buy them this time of year when they can’t physically hand you a wish list or tell you what they want in intelligible non-baby speak. Babies should still be able to enjoy this holiday like anyone else. If you’re stuck on what to get for the important, oblivious little ones in your life (and by proxy, their parents), here are some ideas. For artisanal babies, consider buying these tiny leg warmers, moccasins or drop-crotch joggers that say, “I’m here and I’m stylish.” It also helps parents show off that they’re totally cool and know how to do fashion.